Teachers often ask me for suggestions on ways to engage students more, especially during whole class reading lessons. 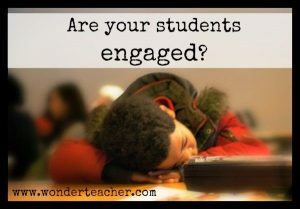 Student engagement is vital, isn’t it? Robert Marzano is a well-known educator/speaker whose research shows that students in highly engaging classrooms outperform their peers by an average of almost 30 percentile points. Students today have a higher need for interaction or they check out. 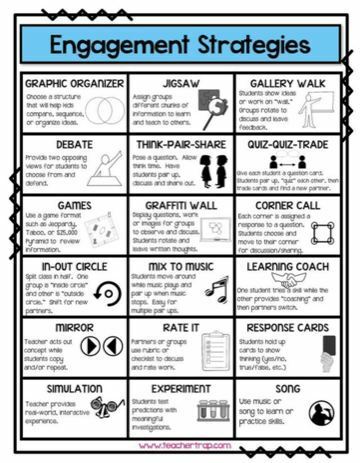 What does engagement look like? The student . . .
and . . . learns!! What does lack of engagement look like? The student . . . 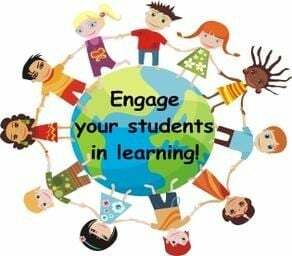 I read an interesting article titled The Eight C’s of Engagement: How Learning Styles and Instructional Design Increase Students’ Commitment to Learning by Harvey F. Silver & Matthew J. Perini (linked here:The Eight C’s of Engagement). They are: Competition, Challenge, Cooperation, Connections, Curiosity, Controversy, Choice and Creativity (pages 9-11). 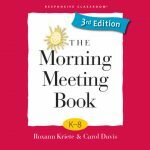 Partner share: This takes modeling, observation, and practice to make it productive so students know quickly who their sharing partner is, what voice level to use, how to listen, how to take turns, how to summarize or recall what your partner said, how to help properly, etc. Sort the verbs (or adjectives) according to the character who exhibits these actions (or qualities). Sort words to emphasize story elements: the characters, the setting, problems, actions, etc. Sort words into a Venn diagram template while reading a compare / contrast article. Complete a graphic organizer together as you read and discuss the story. Notice that different text structures require a different way to organize the information. Fold it note taking: Students fold a blank sheet of paper into 4-8 sections to take notes, show examples, or illustrate desired elements. Teacher directs note-taking by modeling or telling what to put in each section. Post-it-notes: Students use post-it-notes to mark critical parts in the story. Focus on one objective at a time. Even more powerful — connect to a skill you are working on. Teach students to ask thoughtful questions about the text instead of always waiting for the teacher to ask. Asking a question is much like having a conversation with yourself. Students can write questions on post its, a book mark, an index card, or on a piece of butcher paper hung in the classroom (for multiple questions). Is there a word you don’t understand? Are you confused or curious about something? Do you have a question about the author’s purpose? Do you need more background information? Can you turn a heading or subheading into a question? Instead of questioning students after reading, give then a purpose to read a paragraph, page, or set of pages before reading. (Example: Read ahead to find out ______). STOP ROUND ROBIN READING! What can be done instead? Partner read: Teach how to do this properly. For example if partner A doesn’t know a word, how can partner B help without always just telling them the word? How much does each partner read? 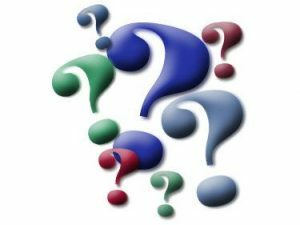 How to ask each other questions, or summarize as they read? How to stay engaged with your partner? How to share a book if needed? Project the story on the screen. For poetry, find poems that can be read in two voices. Partner 1 reads 1st line, couplet, or stanza, Partner 2 reads next set. This is also great fluency practice! In small group, students read silently while teacher “taps in” to listen to one read at a time. If there is patterned text (ex: Gingerbread Man), choral read those parts. Provide more than one option for the assignment – – students are likely to be more engaged if they have a choice. Make a “scoot” activity in which students move around the room to answer posted questions. 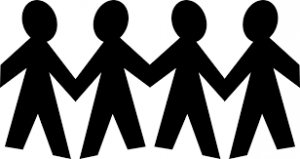 Matching: Students each have a card and must walk around the room to find their matching partner. Switch cards with someone else and repeat. Connect to the story you are reading. 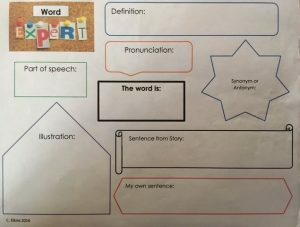 Become a vocabulary expert (get free pdf attachment click here): Each student thoroughly researches one word from the vocabulary list (definition, synonym, antonym, use in sentence, pronunciation, part of speech, and illustration). They become the expert about that word and teach it to others. Summarize a page, set of pages, or chapter. Illustrate the story elements of a fictional selection. Search for a specific number of interesting details (they get a choice in what details to include, plus they must debate or rate how interesting the detail is). Let class vote on which detail was the most interesting. Prepare work stations (learning centers) to review, expand concepts in a game or interactive format. Four corners: Pose an open-ended question with 4 possible scenarios. Post each in a different corner. Students go to the corner that matches their opinion and discuss with others who think the same way they do. 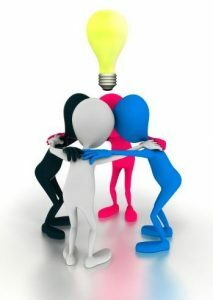 Then meet with group with opposing opinion for a friendly debate. Make a poster of text features to go along with a story or article that didn’t have any. For stories with very few illustrations, describe a mental picture of what could be going on. Compare and contrast those mental pictures (by illustration if needed).